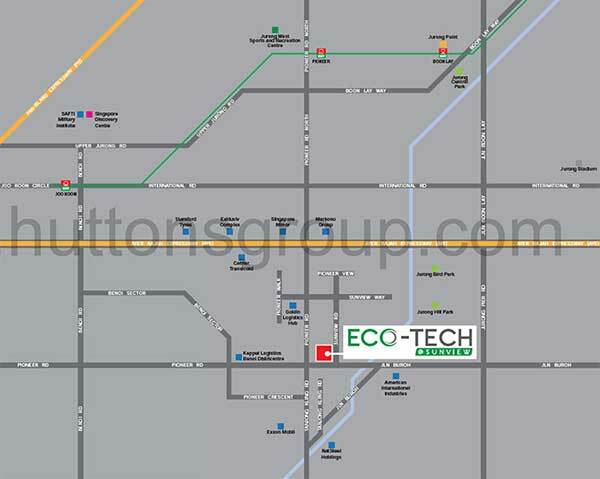 Ecotech @ Sunview is conveniently located at Sunview Road Singapore 627615, Singapore District 22. Offers its future owners of this development the benefits of being strategically situated right in the center of commercial and business establishments and has a convenient access to the city's major ways of transportation. Ecotech @ Sunview prices is attractively priced from 5xxk. This 9 storey development is only a few minutes away from Pioneer MRT station. Well-connected to major expressways such as Pan Island Expressway (PIE) and Ayer Rajah Expressway (AYE). Pioneer Mall and Jurong Point is just a short drive away. Nearby to some prestigious schools include Frontier Primary, Jurong West Secondary, Juying Primary and Secondary School.